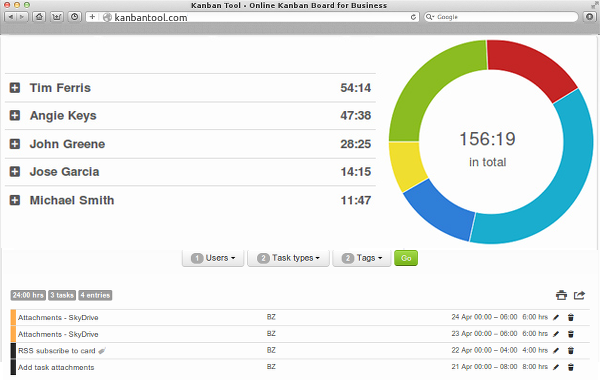 As the year comes to an end, we are summing up Kanban Tool's growth. We are very happy to share with you the 5 best of this year's newly implemented Kanban Tool features. We've introduced seamless Time Tracking with Time Report, a function allowing to monitor the time, that is spent on each particular task. In the Time Report you can view a summary or detailed record of exactly how long things took. We have also made it possible for each team member to manage his or hers own tasks personally - with My Work widget. It lets each user to create a task queue of items from - possibly - many different boards. In the widget you can also postpone tasks for any amount of time and on the tasks' return to the list, they will be visibly highlighted, to ensure you notice them. Very useful when working on multiple Kanban boards. Also from this year you can attach files directly from your favorite file hosting service (Google Drive, Dropbox, OneDrive or Box). This makes work and cooperation even more simple. 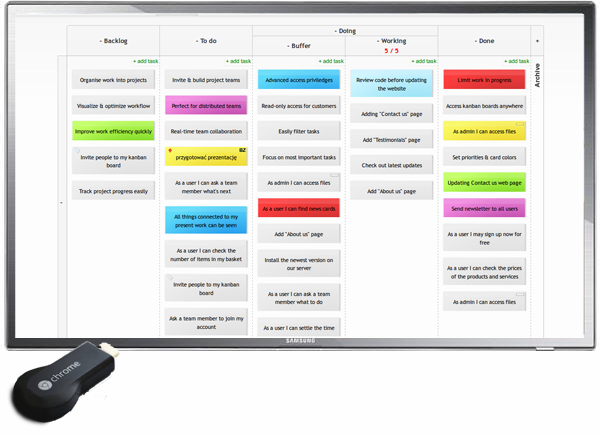 To make your teamwork even more efficient, we've thought of creating a good way of making an information radiator out of your Kanban board. Check out Kanban Cast - a great Kanban Tool and Chromecast integration. Now you can radiate the workflow onto your team, and make sure that everyone is visually updated in real time. 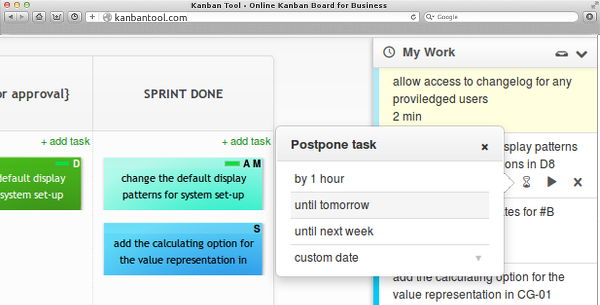 Keeping the big teams in mind, we've made a one click access to Kanban Tool possible. 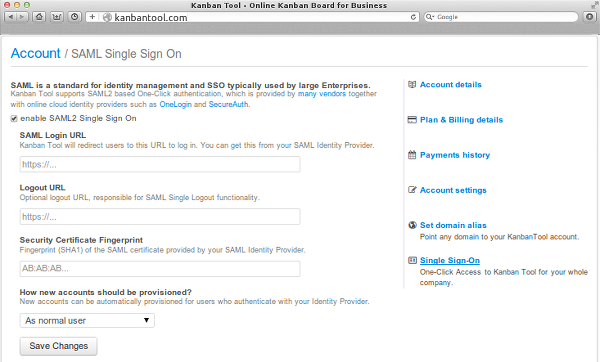 By integrating your Kanban Tool account with SAML 2.0 your team can log in to the service with just one press of a button. Stay tuned to make sure you don't miss any of the new functions coming along in 2015! There will be a lot happening!